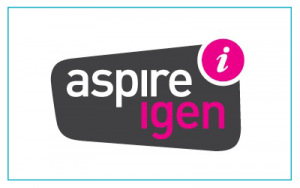 Aspire-igen group is the largest careers and training organisation in the Yorkshire region. The group is a not for profit social enterprise, with 22 years’ experience of supporting young people and adults into training and employment, working in a wide range of partnerships at local, regional, national and European level. The foundation learning programme provides training across the region, providing holistic support so that the young people can progress into further study, training and apprenticeships.